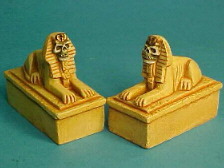 By now, you will have made your selection of miniatures from the wide range of available models featuring in the Tombs of the Pharoahs showcase and you'll be thinking about fielding them in your battles. 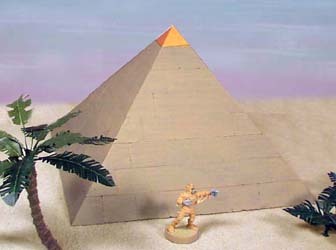 At this point you'll want some convincing scenery to help recreate the feel of an ancient Egyptian battlefield. 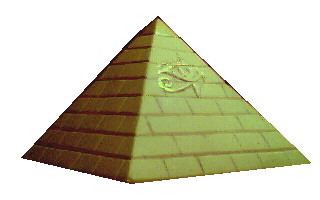 This is the manufacturer of the game "Wargods of Ægyptus". 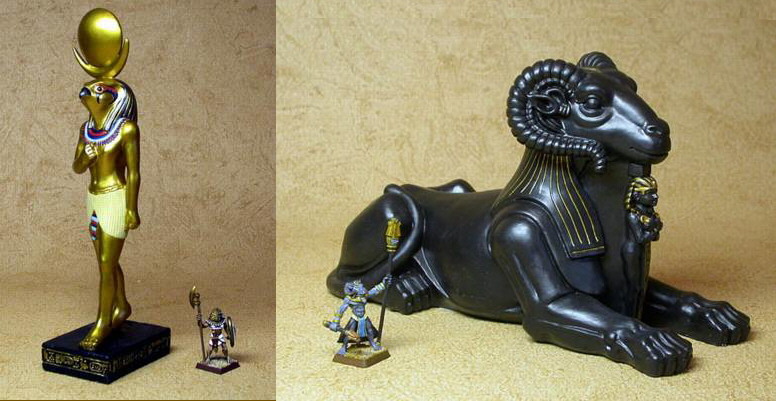 Not only do they have one of the largest ranges of fantasy Egyptian miniatures, they also produce a good variety of scenery to go with it. There's no excuse left for not decorating your battlefield, now. 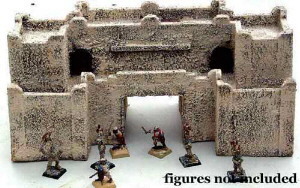 Now that you've collected your horde of Tomb Lords, you may want to think about some cracking terrain pieces to add to the visual appeal of your games. Grendel's Historical Range is just the thing you've been looking for. 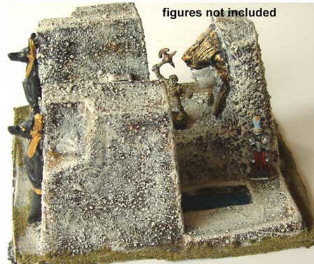 This range of resine models includes Egyptian ruins, Pharaoh's Tomb, Pharaoh's Crypt, Temple of Horus, Obelisks and many more. 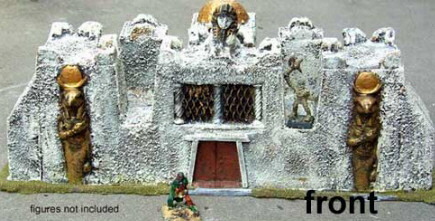 And don't forget the Temple of Set in the "Grendel Fantasy" range either. Another choice for some cracking historical scenery. 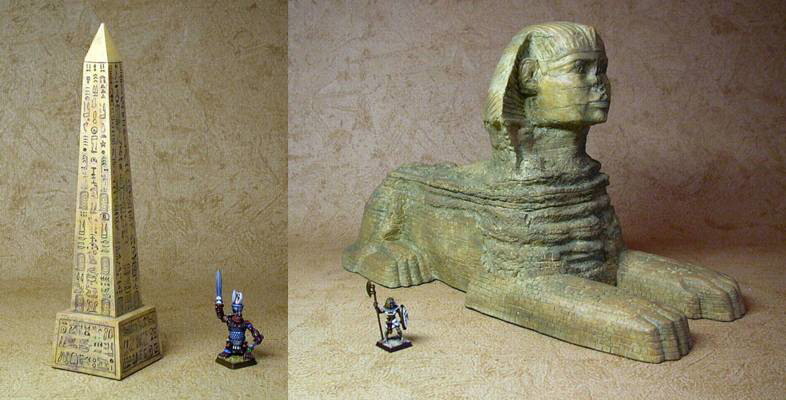 These are in the 25mm scale and while it's hard to judge from the pictures how they'd size up when used with some of the bigger fantasy miniatures like the Ægyptus ones, there are some bits like the multiple sets of sphinxes that will fit in for sure. 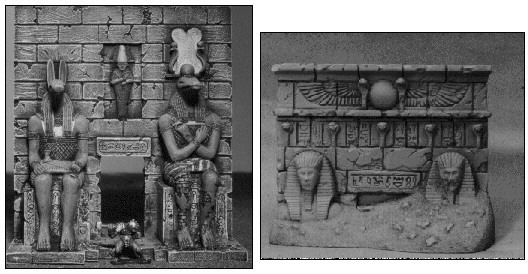 But Monolith not only produce historical scenery, they also have a gothic horror line which has skull and mummy headed sphinxes, male and female pairs of mummy statues and a mummy sarcophagus with separate lid. Manor House Workshop is an Italian producer of full dioramas and accessories. 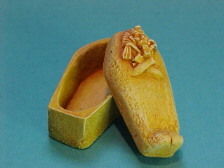 Items are made from plaster ceramic with details in resin and metal. Articles are supplied in kit form. Each item or diorama is hand-crafted and photos should be considered indicative as small variations are possible. Items such as columns, towers and castles, if sold unassembled, correspond to photos depicted. Manor House Workshop also sells bags of ruins, columns, staircases, sand and stones, static grass and leaves to be used to fully personalize their items and dioramas making them unique to customer’s tastes. 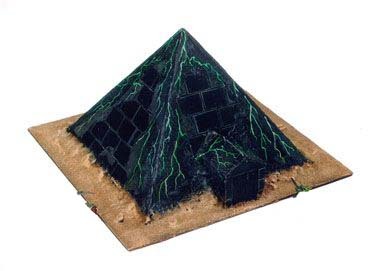 This company, mainly known because of their scenic bases, also offer some terrain pieces, including a pyramid for use with your fantasy miniatures. Let's say you want to build something. It could be a castle for a table top battle, a bridge for a model railroad, or a dungeon maze for a role playing game. Wouldn't it be nice if they made Legos with a stone texture so you could build what you want easily? Well they don't make them, but Hirst Arts have the next best thing. You could buy a simple rubber mold and make as many blocks as you want out of plaster or other casting materials. When they dry, stack and glue them together. Then paint them with cheap latex paint! You can use the mold over and over again, hundreds of times and it won't wear out. Their website is very good and also offers some very detailed step by step building instructions. 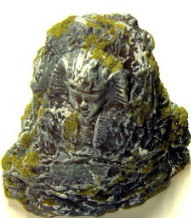 This company produces bronze statues, scented candles and scenery for wargamers. 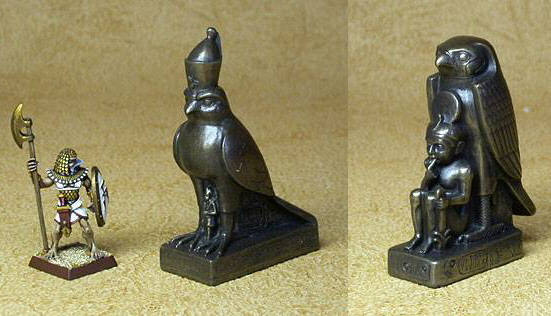 They have a nice pyramid, but the main interest lies in the considerable range of statues for gods and idols (not the bronze ones): Horus, Isis, Bast, Anubis, etc... there's plenty to choose from. Australian company making rubber scenery. The advantages are it won't break and there are no sharp edges for the eternally hopeless to hurt themselves with. They have a few sets of palm trees and a dried-up oasis, a ruined burial chamber, various temples (Hamanaptra, Kharnak), a large rock with carving of King Tut's head and an Egyptian statue (dog). 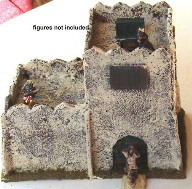 If you fancy a walled city for a desert siege game, there is the gateway to Khartoum with matching outer wall (ruined or intact) and corner tower sets, houses and a khalif's palace. 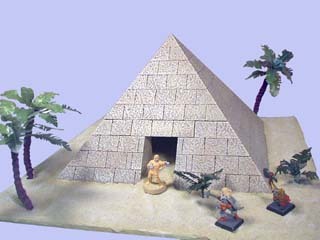 Return to the Tombs of the Pharoahs miniatures showcase.